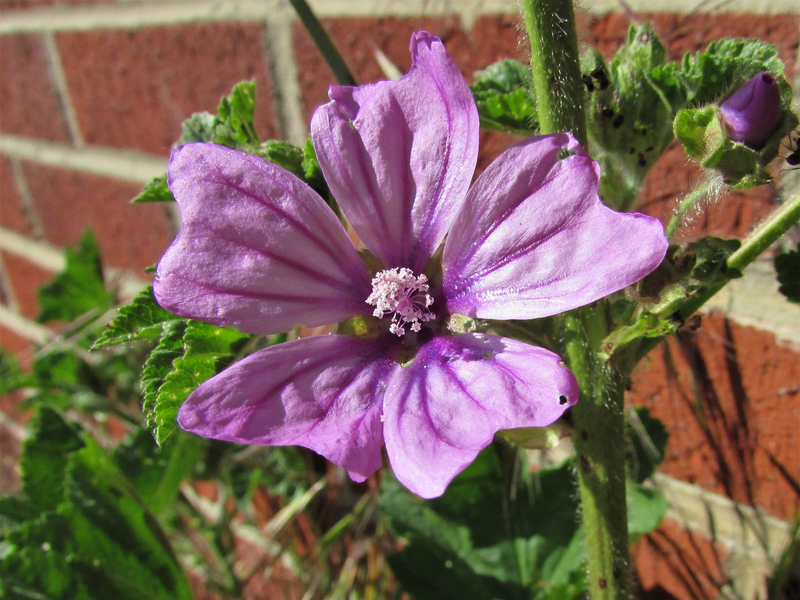 Mallow can be found growing in most environments. 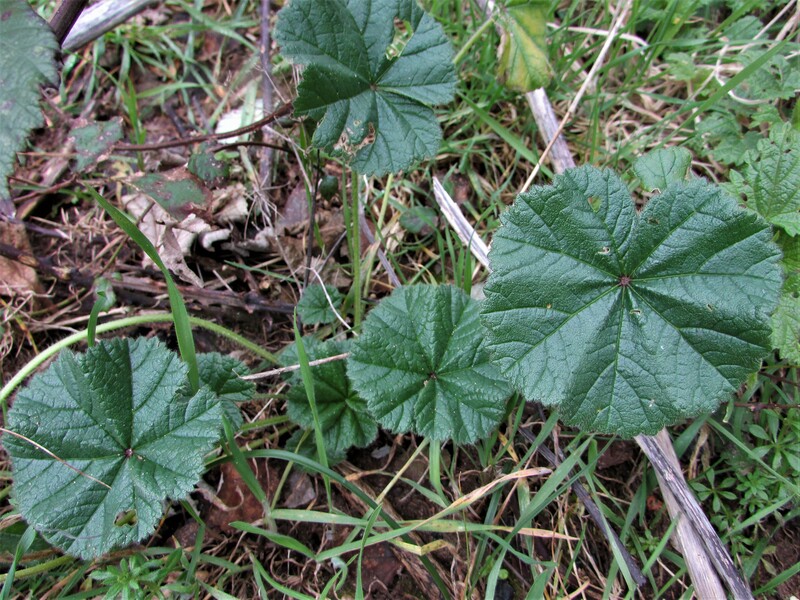 A very common weed that can grow up to a metre tall and be found on path edges, roadsides, hedgerows and even open woodland. 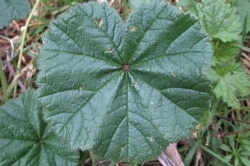 A five lobed pentagon shaped leaf that can be crinkley. 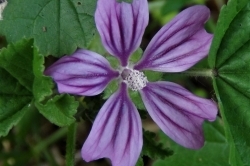 A broad pink to lilac slightly trumpet shaped flower that opens out to flat. 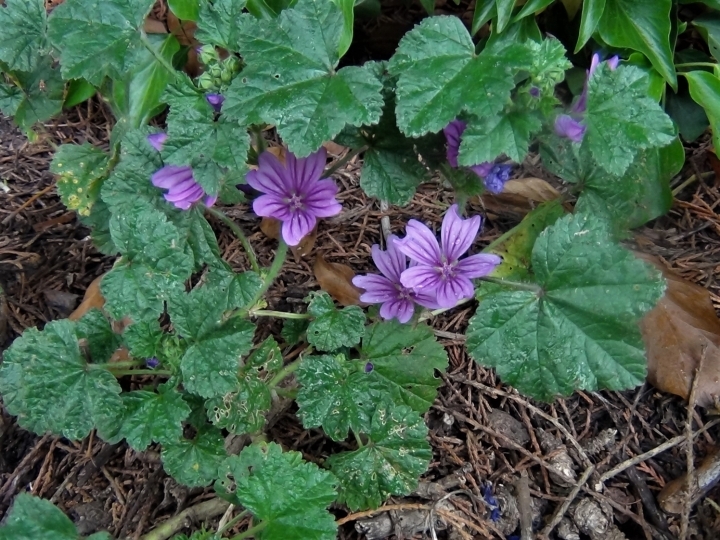 Can be seen from June to September. 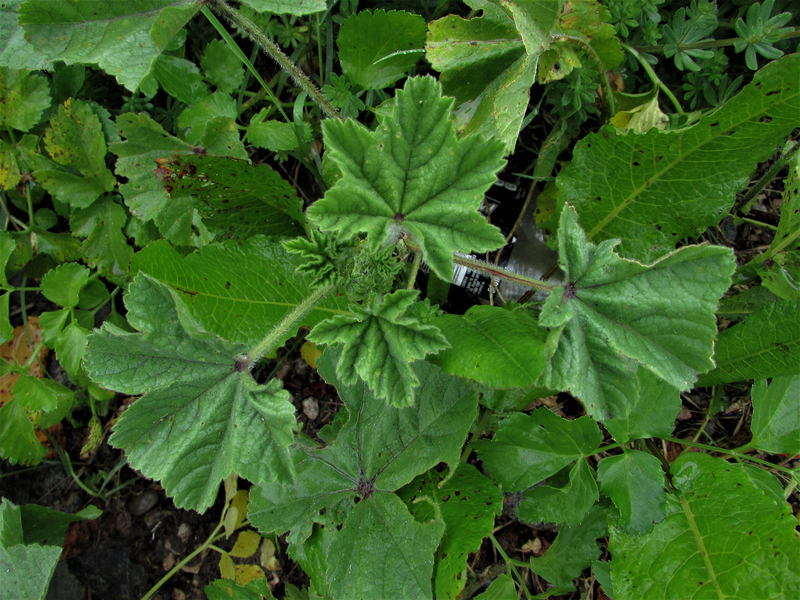 The fruit are called ‘cheeses’ and resemble the shape of a full counter in Trivial Pursuit. 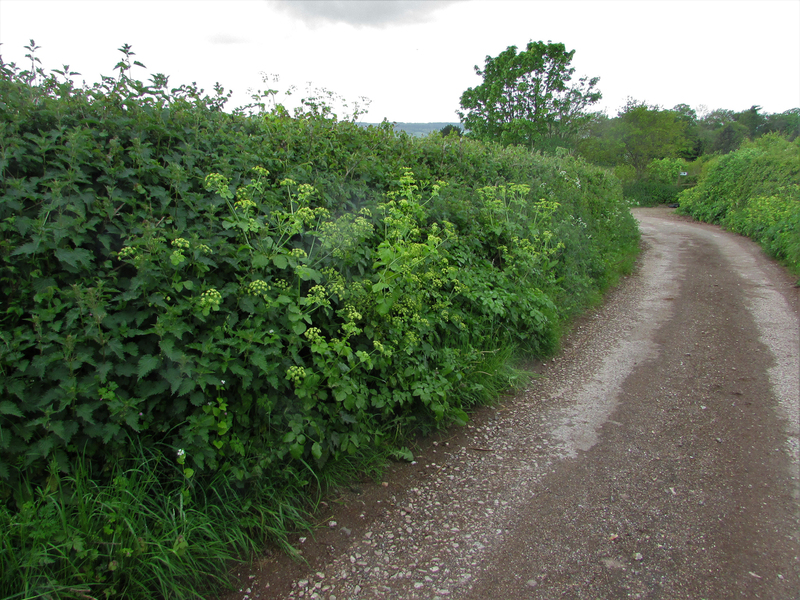 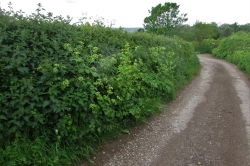 Roadsides, path edges, light woodland, scrub, hedges and waste ground. 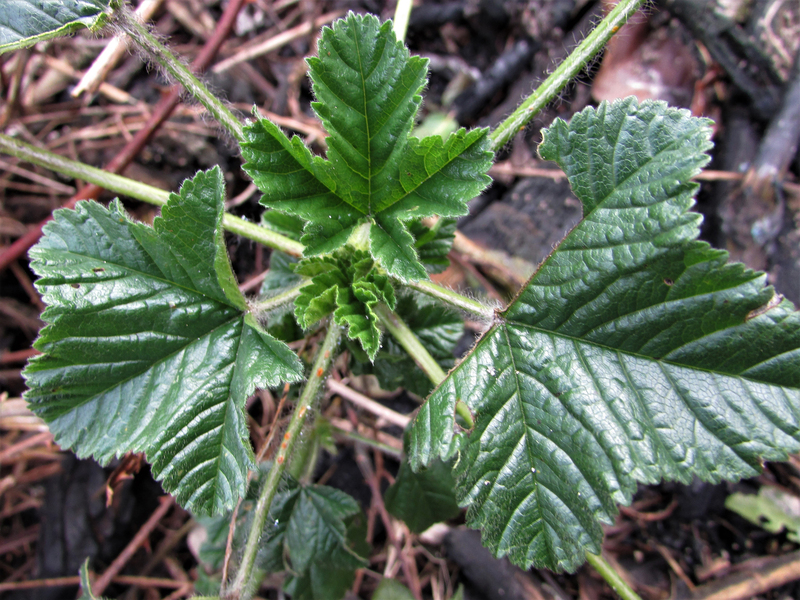 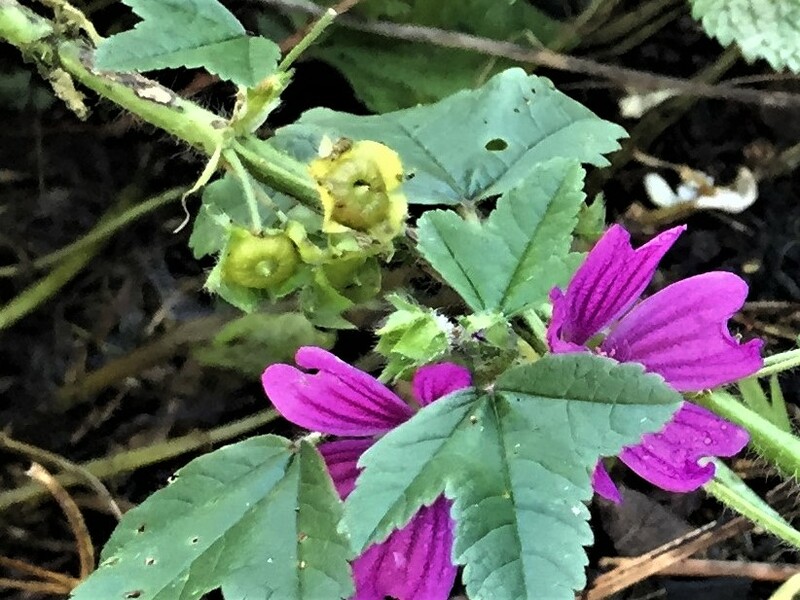 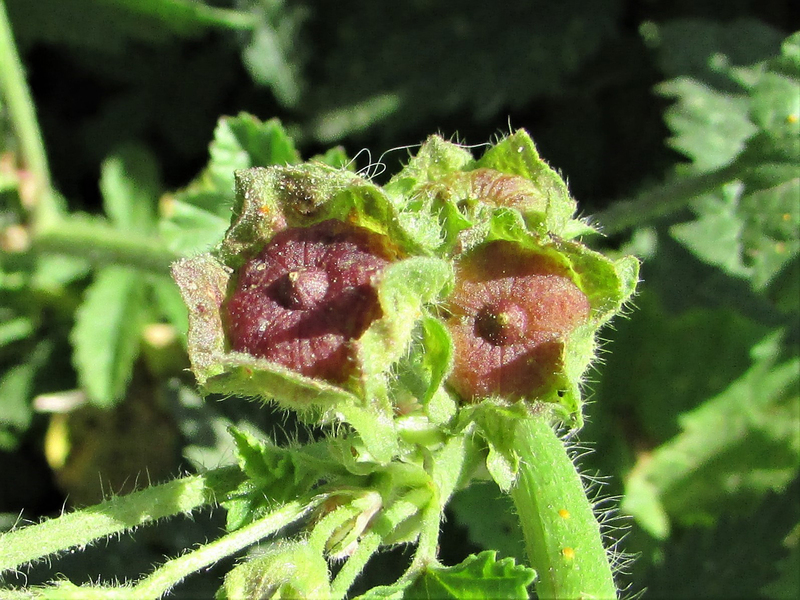 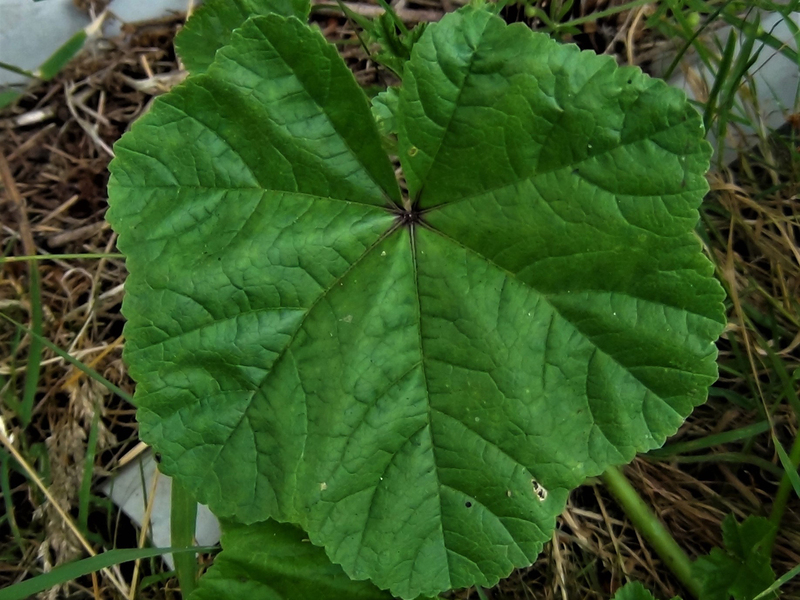 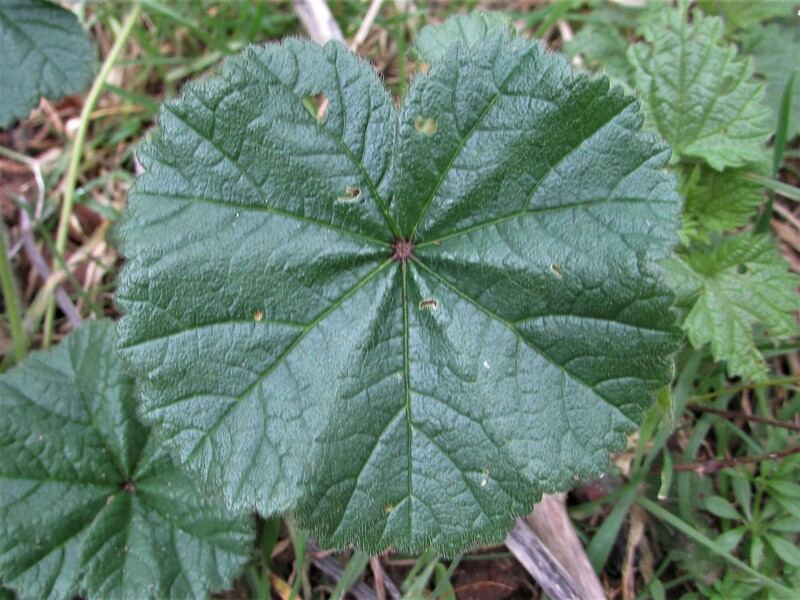 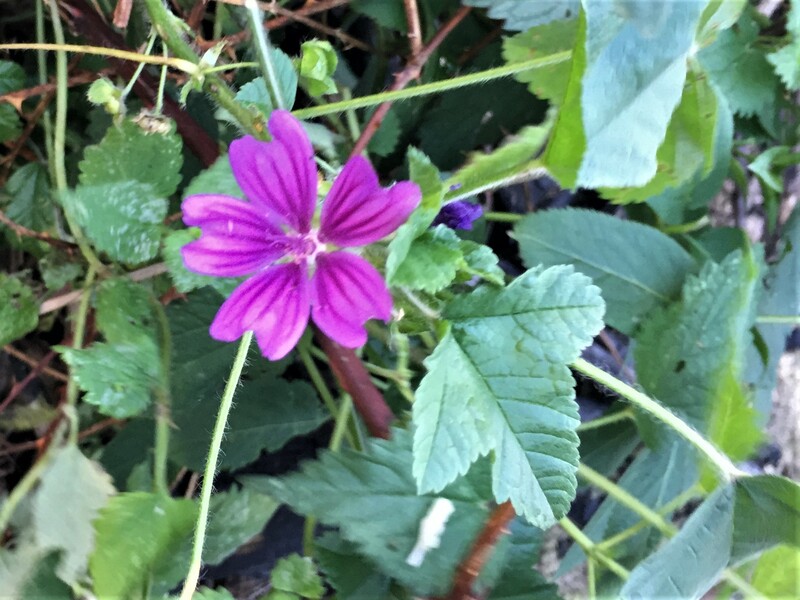 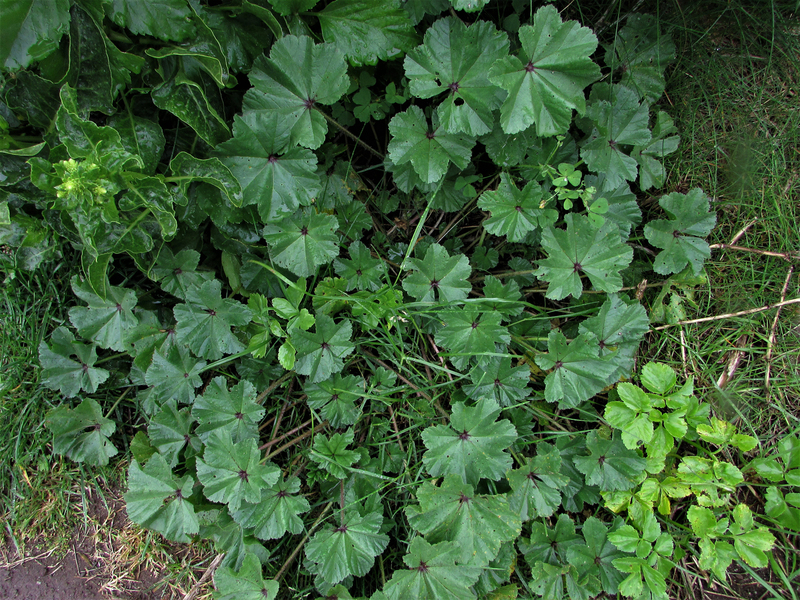 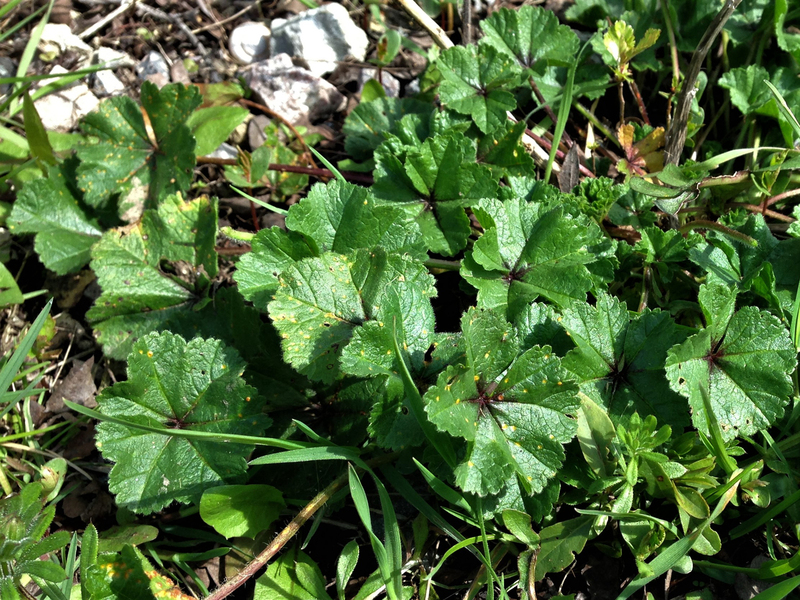 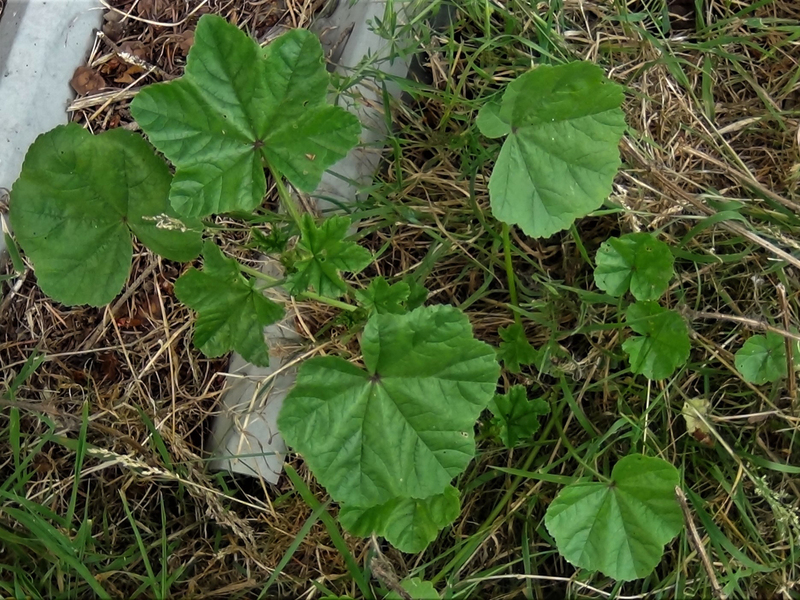 Geraniums have similar leaves but have quite a distinctive inedible smell, Mallow does not really have an odour, the flowers help differentiate between the two as well. 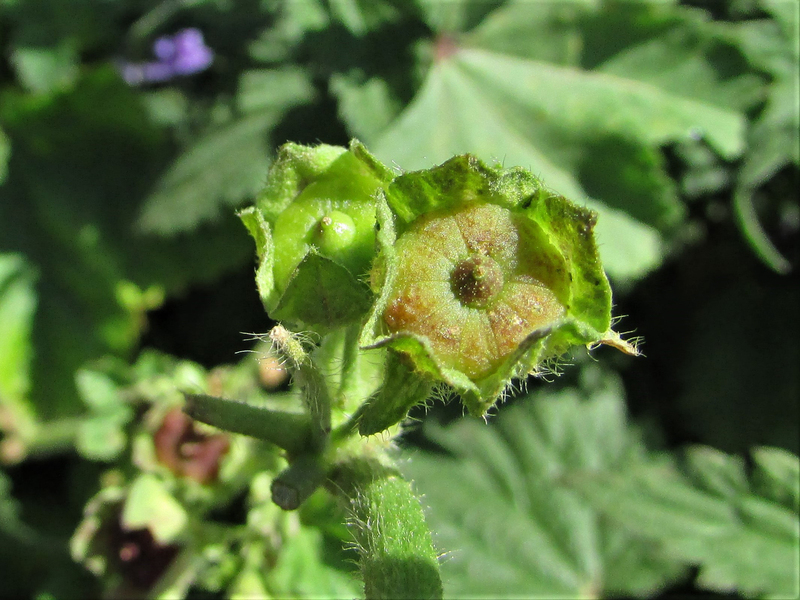 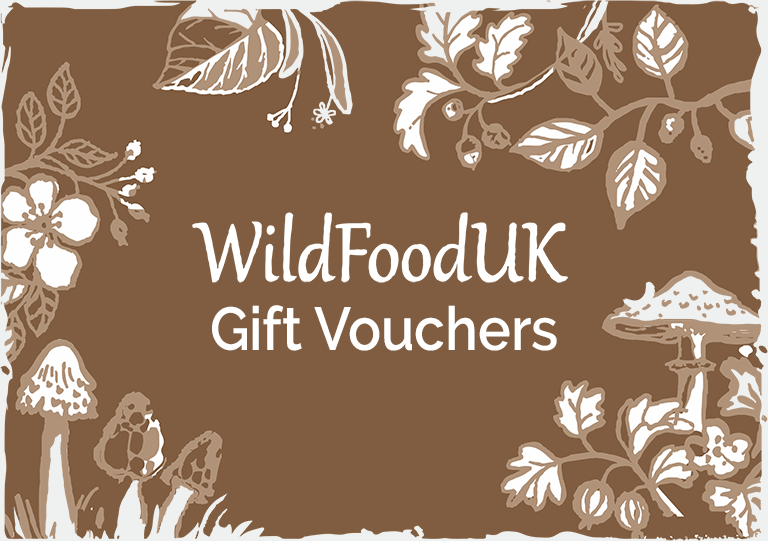 The young seed pods, called ‘cheeses’, can be collected and nibbled while out walking and have a nutty flavour. 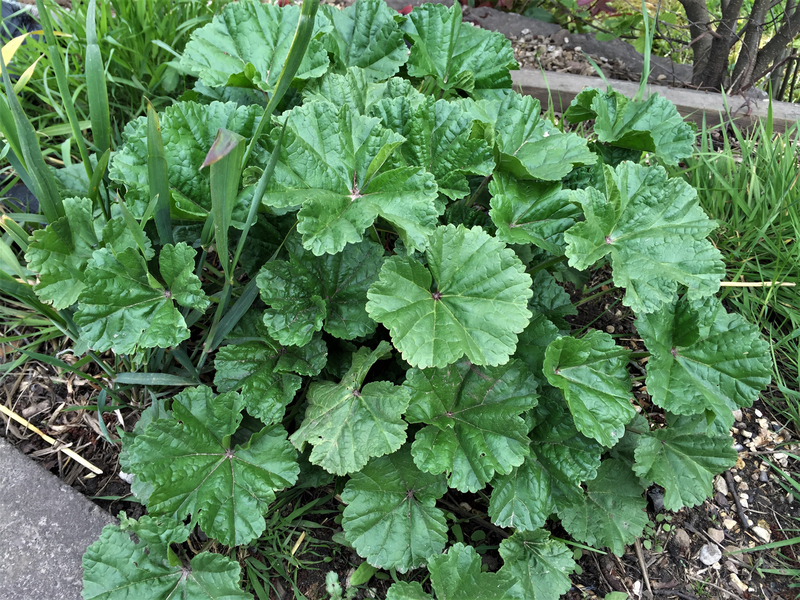 The leaves need to be young for a salads but not so for soups and stews or they can be deep fried and puff up like prawn crackers. 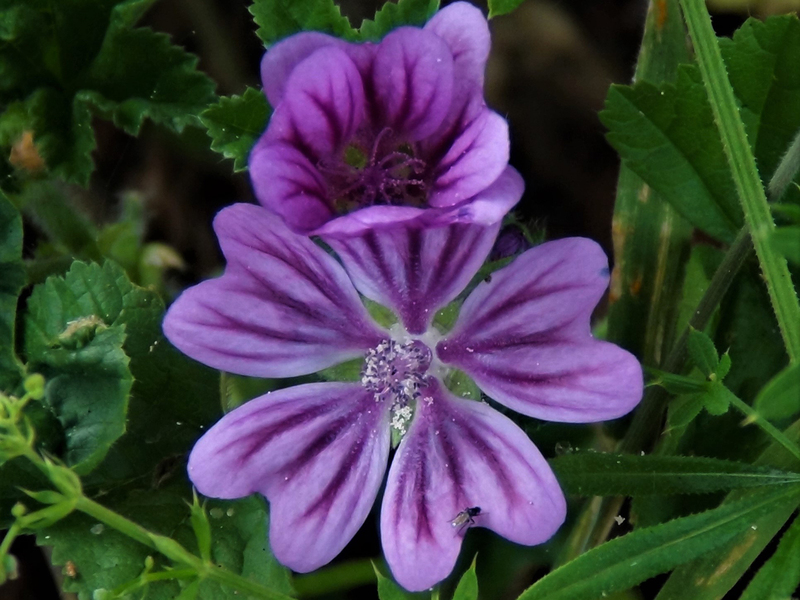 The flowers can be used in salads where they will impart no flavour but add a splash of colour. 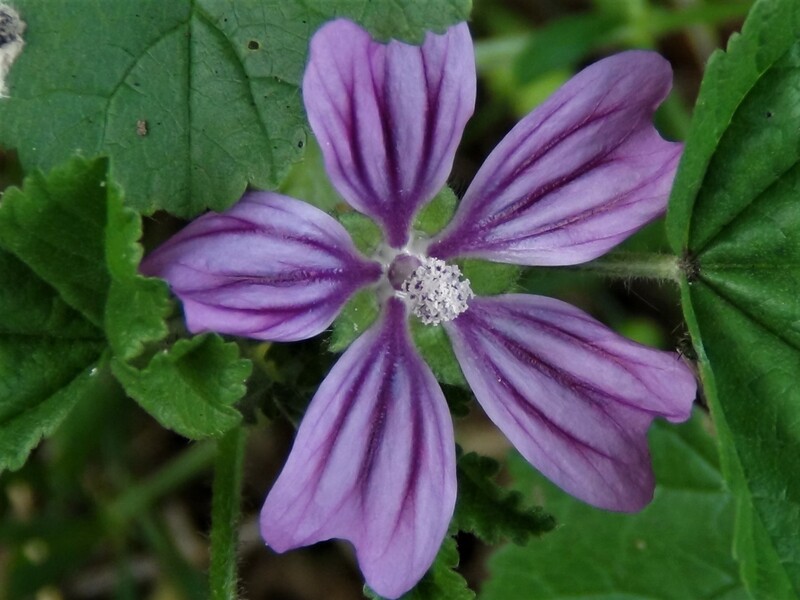 Can be used as a laxative or as a poultice for external wounds. 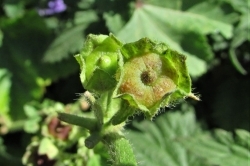 Can be used as a yellow, cream or green dye.